South, south, keep heading south. 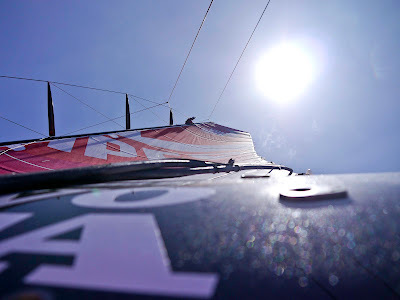 This is what the four boats racing in third week of Leg 1 of the Volvo Ocean Race have to do before they can begin their turn towards Cape Town. Once around the Saint Helena High, the fleet can look forward to some high speeds and a sleigh ride to within 400 nautical miles of the finish. Temperatures will plummet, albatrosses will be their companions, and the speedo could hit some potentially record-breaking numbers. But, as the fleet continues its drag race south, a thrilling match is playing out between Telefónica (Iker Martínez/ESP), who currently leads PUMA’s Mar Mostro (Ken Read/USA) by 35 nautical miles (nm). Both boats are very evenly matched, both designed by race-winning Argentine designer, Juan Kouyoumdjian, and both have had plenty of match practise. The crew of PUMA’s Mar Mostro would be very happy if this scenario were to happen. 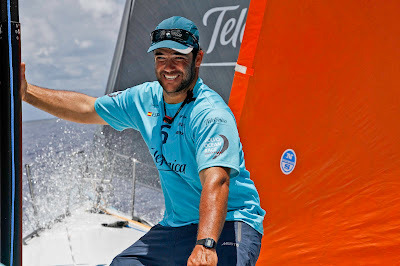 Since Telefónica took the lead, there has been a lot less banter on board the black cat. Both boats are heading into lighter conditions and the crew of PUMA is ‘willing everything they can out of the boat’. They are confident that Telefónica’s lead is manageable and are avoiding obvious weaknesses such as impatience and irrationality. “We’re just trying to stay positive and keep ourselves close so that if (and when) the proverbial door is opened, we can jump through,” said their MCM Amory Ross. 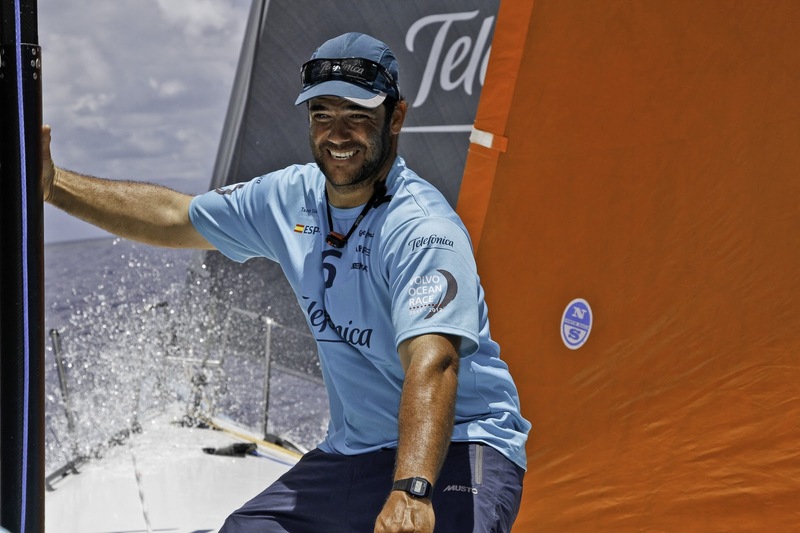 At 1000 UTC Telefónica were averaging 17 knots, while PUMA was the fastest in the fleet at 18.3. In third position, CAMPER with Emirates Team New Zealand (Chris Nicholson/AUS) reported a good 24 hours. 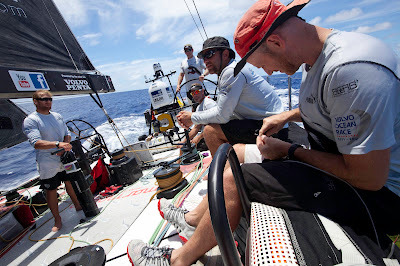 Navigator Will Oxley explained: “We have another 1100 nm of just east-of-south heading. We are going to go from having plenty of sleep to a far more sleep-deprived state again.” The crew is concentrating on sailing CAMPER as fast as they can (average over three hours is 17.9 knots) in the knowledge that one bad three-hour period and all the hard work gaining miles can be undone in an instant. Groupama sailing team (Franck Cammas/FRA) are still sailing a race of their own. The crew reports that the temperature of the water has cooled, which is making life on board more pleasant. Cammas’ men were making good speed (15.7 knots) and had gained six nm, but trailed the leaders by 428.6 nm.